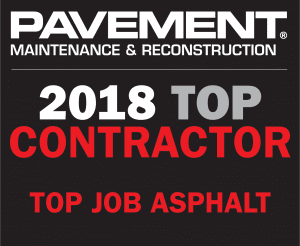 Top Job Asphalt pavements are constructed to last. Asphalt is only as strong as the foundation it’s built on. Proper design, construction, and quality of the base, sub-base, and sub-grade are critical components to the performance and longevity of the pavement. Drainage and asphalt thickness are equally important. Pavement is a significant asset in any portfolio. Our Parking Lot Paving Services insure that asset lasts a very long time.